Onus iV Hydration has a convenient location near the Denver Tech Center that offers a wide variety of iV drip treatments, hangover cures, altitude sickness iVs, and more. Denver, Colorado- In the past few years Denver, Colorado has seen an uptake in new residents traveling to the rocky mountains for many reasons such as prospective careers, a better quality of life or to simply partake in all of Colorado’s renowned winter and summer mountain sports. Whatever the reason for moving to Colorado, new residents are inevitably going to feel the effects of adjusting to the higher elevation, (sometimes referred to as ‘altitude sickness’) and Onus iV bar DTC is proud to be here to help. The iV Hydration company founded by 3 mountain bikers in 2014 has grown to 3 locations throughout Denver and Boulder, Colorado. 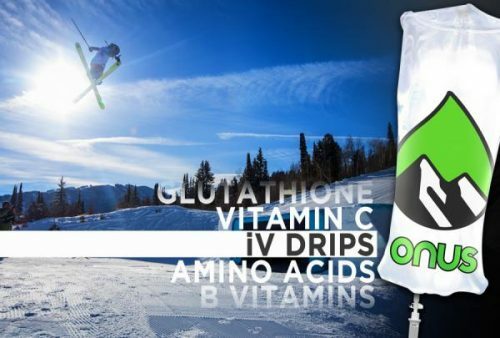 And, despite iV bars in Denver being a relatively new treatment option for altitude sickness, (among a multitude of other ailments) Onus IV believes Hydration and iV bars are beyond just a fad, and that their company in particular is here to stay. The team at Onus iV bar in DTC provide patrons with a wide variety of iV therapy options from simple hydration to cold-fighting immune boost treatments and various other cocktails to combat altitude sickness, jet lag, fatigue, migraines & so much more. Onus iV accomplishes this by utilizing FDA regulated & pre-compounded vitamins in their iV’s to ensure optimal absorption by your body. Compared to oral alternatives, the effects felt from a vitamin infusion combined with a complete vitamin absorption are second-to-none.